Young Henry Malpas travelled to South Australia with his parents and two sisters, on the ‘Lysander’, arriving in 1840. He worked as a machinist with his father, then as a shepherd at Myponga, before, in 1849, purchasing Allotments 1, 2 and 3 on St Peters Terrace in Willunga from Thomas Smith Kell. A house and general store were built. His Storekeeper’s License was granted, despite objections from Atkinson of the Bush Inn who feared competition in the selling of spirits. In October 1849, Henry was appointed post master, taking over postal duties from the Willunga police. Mail for Adelaide left at 6am and arrived from Adelaide at 7.45pm, a punishing schedule he maintained until 1857 when the license was transferred to the new post office. In 1853 Henry married Mary Anne Allen, daughter of John Allen. Eleven children were born; nine survived. Mary Anne managed the household, assisted with the store and, with her kindly nature, had a large circle of friends. In 1860 she officiated at the presentation of a flag to Captain Atkinson of the Willunga Volunteers Regiment and spoke eloquently of their role in the community. Malpas’ general store traded successfully, surviving a massive fire in 1870 which burnt all the outbuildings. On retirement Henry was reputedly worth £20,000. 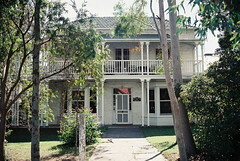 His home Willunga House on St Peters Terrace remains a significant landmark in Willunga. In the spacious garden Henry built an immense aviary with numerous parrots and canaries. Henry Malpas owned farming land in the district. He served as Warden, Lay reader and Organist at St Stephen’s Church, was a member of the Willunga Board of Advice (overseeing education in the district), a Justice of the Peace for 30 years and a Trustee of the Agricultural Hall and the Recreation Ground. In 1884 he funded a Natural Science Scholarship at Prince Alfred College, attended by his son Stanley. He financially supported the erection of Mt Compass Community Hall, built in the early 1900s. In retirement, Henry was a great walker, once accepting a challenge to walk to Adelaide in one day. Most Sundays he walked five miles up Taylors Hill, along Range Road and down the Cut Hill. He enjoyed regular afternoon chats with his elderly neighbour Simon Sibly. Henry Malpas died in 1910, aged 84. 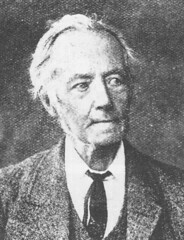 He was survived by his wife and four of his nine children (Edward Malpas of Adelaide; Stanley Malpas of Willunga; Mrs J A Hughes of Willunga and Mrs James of Moonta). His wife Mary Anne Malpas died in 1912, aged 80 years. Cyclopedia of South Australia Vol 2 1909 page 840. 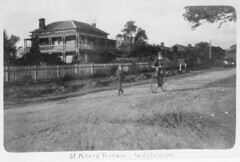 Willunga House, 1 St Peters Tce, c 1900. Do you remember Malpas, Henry ? Then Join up and add your memory here.